There aren't a lot of water fountains scattered about. Fountain icons are hard to discern, should probably use "water droplets." 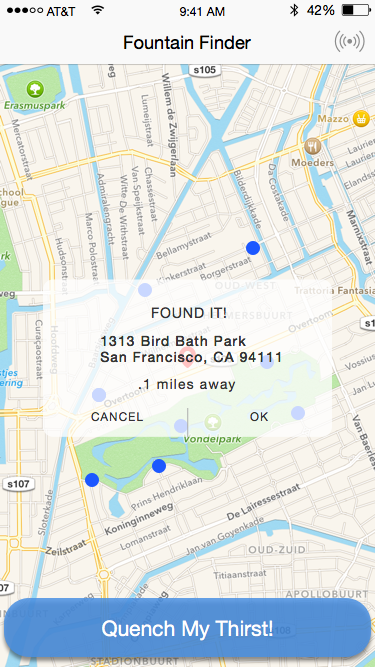 Could pivot to be a nice scavenger hunt app. Swipe right on good tasting water to increase the average star rating!